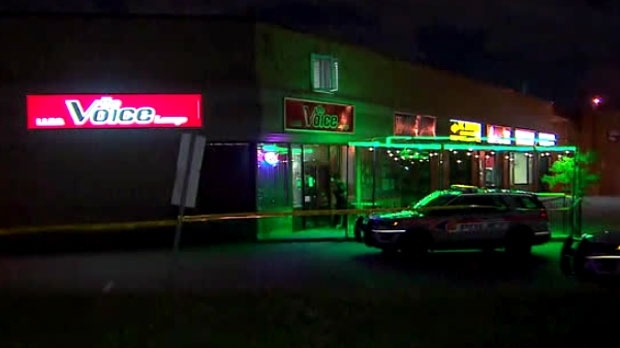 Three teens have been taken into custody in connection with the fatal shooting of a 49-year-old man outside a bar at a plaza in Vaughan on Friday night. Officers were called to the area of Steeles Avenue and Weston Road at around 8 p.m. for reports of gunshots. When police arrived on scene, a man was found at the rear of a plaza outside a bar suffering from life-threatening injuries. 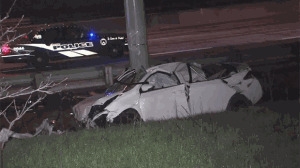 The man was rushed to hospital for treatment but later died, police confirmed Saturday. The gender of the suspects has not been released but police confirm that they are ages 18, 16, and 15. “Motive at this point is going to be really the focus of investigation right now,” Pattenden said. He said officers have been working throughout the night to try to determine exactly what took place. “This is a very active and ongoing investigation. We have the area closed off right now our forensic identification unit is here doing work processing the scene,” Pattenden added. The name of the victim has not been released but police say he is a 49-year-old man from Tottenham.